— Rush Limbaugh on Tuesday, February 3rd, 2015 in a broadcast of the "Rush Limbaugh Show"
By Jon Greenberg on Thursday, February 5th, 2015 at 11:33 a.m.
Conservative radio host Rush Limbaugh says the focus on vaccinations in the wake of the measles outbreak is a "leftist Democratic trick" to divert attention from the president’s "DOA" budget plan. And to the extent that the measles outbreak is real, Limbaugh said Feb. 3, 2015, it was all the fault of the White House anyway. "We have a vaccination problem for one reason: Barack Hussein Obama and his open borders immigration policy, which opened the southern borders to children sick, healthy, you name it, poor, ill-educated, just tens of thousands of kids flooded the southern border all of last year. "They were never examined before they got here. They were never examined after they got here and quarantined if they had a disease. They were just sent out across the country. Many of them had measles." Other conservative voices have linked measles to illegal immigrants. The conservative website The Blaze wrote about Rep. Mo Brooks, R-Ala., who said the disease was brought into the country by "illegal aliens." None of that holds up, however. In fiscal year 2014, over 68,000 unaccompanied minors presented themselves at the border. The crisis spurred a flurry of activity, largely by two government agencies, the departments of Homeland Security and Health and Human Services. Homeland Security set up new processing centers and HHS’s Office of Refugee Resettlement looked after the children until their fates were resolved. Contrary to Limbaugh’s assertion, the federal government did examine these kids. The protocol, according to the Office of Refugee Resettlement, was to provide "vaccinations to all children who do not have documentation of previous valid doses of vaccine." "Children receive additional, more thorough medical screening and vaccinations at ORR shelter facilities," according to the refugee resettlement Web page. "If children are found to have certain communicable diseases, they are separated from other children and treated as needed." Further undermining Limbaugh’s case (we reached out to his show and did not hear back) are the vaccination rates for the key countries involved in the influx of unaccompanied minors -- El Salvador, Guatemala, Honduras and Mexico. With vaccination rates this high, epidemiologists say there is no particular reason to point to children from these countries as the source of a measles outbreak. As a final point, the information on the measles cases this year reported to health departments fails to suggest a link to immigrant children. 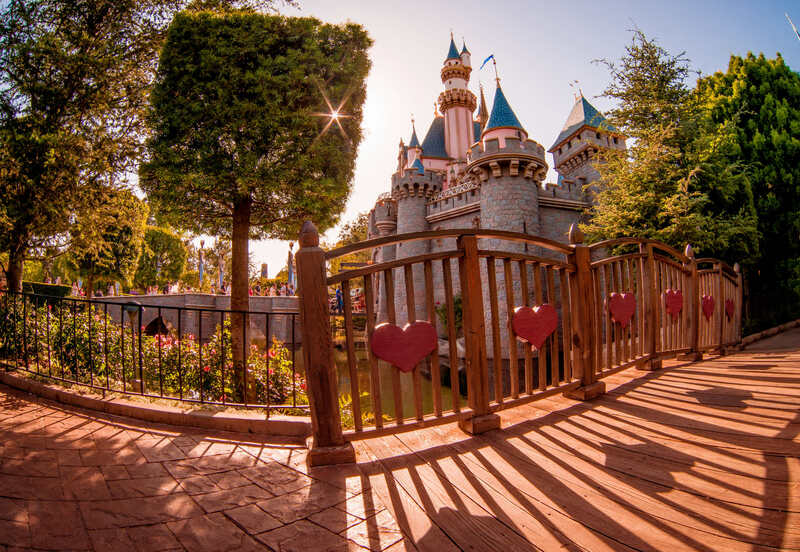 The Centers for Disease Control and Prevention said that most of the 102 cases stem from exposures at Disneyland in California. California health officials report that 59 cases emerged directly or indirectly from the amusement park. The core group was made up of 40 people who worked at or visited the park. Neither the CDC nor the California Department of Health have traced the outbreak to one of the young people who entered the country last year. In fact, assistant surgeon general Anne Schuchat said in a news conference that "we assume that someone got infected overseas, visited the parks and spread the disease to others." Past measles outbreaks have not been linked to Central America. Last year, Ohio saw 382 measles cases. According to state health officials, that began when unvaccinated travelers came back from the Philippines and spread the disease within the local Amish community. The CDC said nearly 80 percent of the cases that year were among people who chose not to be vaccinated due to their religious beliefs. Limbaugh pinned the current measles outbreak on the Central American children who flooded the southern border in 2014. Limbaugh said they were never examined and that many had measles. Limbaugh provided no evidence that this is true. Probably, because no evidence exists. The children who came in from Central America were examined and vaccinated as part of a standard routine. There is no data that links this or any other outbreak of measles to those immigrants, who are vaccinated at about the same rate as Americans. This claim lacks any basis in fact. We rate it Pants on Fire. Published: Thursday, February 5th, 2015 at 11:33 a.m.